Polyvinyl Chloride, or PVC, is a plastic used in many residential and commercial plumbing applications. Most commonly, PVC is used for drainage pipes in homes with a typical waste flow (due to the pipe’s smooth interior), although it is increasingly finding its way into residential water piping and commercial piping as CPVC. 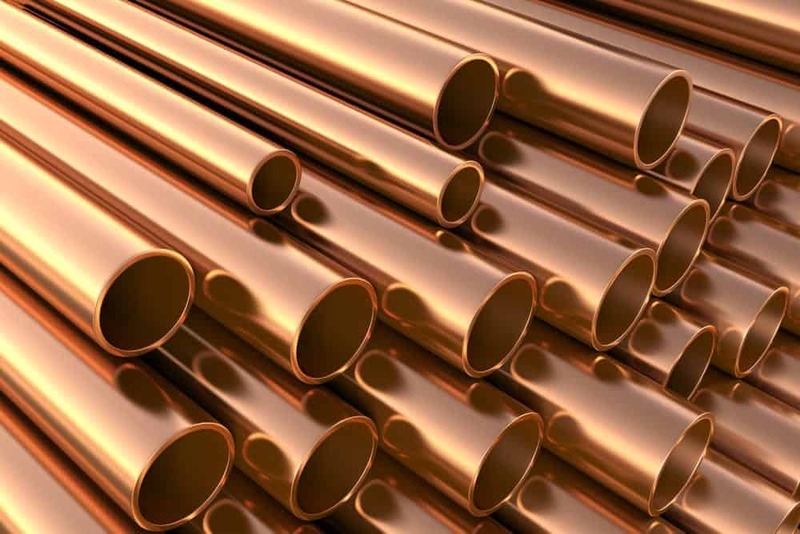 Copper pipes are primarily used for water supplies to fixtures in commercial and residential rooms. These pipes can hold significant water pressure, they last a long time, and they are resistant to things like small fires. Copper is, however, more expensive than PVC. Galvanized Steel pipes are not so common anymore due to the difficulty and cost of installing them. They are, however, quite durable and stand up to external damage better than copper or PVC. Cast Iron pipes are used almost exclusively for drainage. These pipes last a long time and block any sound from inside the pipe (so you don’t hear the “whoosh” sound when someone flushes a toilet). They are very hard to install, however. Some cities have ordinances that require cast iron, but most areas have moved away from cast iron to PVC. Cross-Linked Polyethylene, or PEX, is flexible piping used to run water lines to hard-to-reach areas, or as part of small homes or mobile homes. Many renovations will use copper-to-PEX connections to more easily run water to new parts of the home. There are also other materials that you might find in your home. Many plumbers used to use brass pipes and fittings, and many valve bodies are still made of brass. And, if you have solid gas lines, then your basement will have black iron piping running through it. This piping is like galvanized steel, but it holds the lower pressures necessary for natural gas. The first sign that you may have to replace some plumbing in your home is the old age of the home and the original plumbing. If you’ve watched any “fixer upper” shows on TV, you’ll notice that they don’t necessarily cover the nitty-gritty of what it takes to remodel the house… because it is a lot of work! As you can see, metal pipes typically last longer, which means that even when they hit their life expectancy, they could still be going strong. However, another point to consider is that older pipes have been corroded by minerals in the water, which means that the interior of these pipes could be leaching minerals into your water supply. The above time frames are a good rule of thumb, but in general, if you think that you might need to replace plumbing pipe on an old house, take into consideration the use of that pipe. Even if a house is newer, piping that doesn’t adhere to code installation guidelines might need to be replaced. Poor piping, piping that doesn’t adhere to modern codes, and piping that isn’t structurally perfect aren’t required by default to be removed, otherwise, plumbers would have to tear down walls and replace plumbing every 10-20 years! However, in many states and municipalities, it is part of the plumbing and building code that if, during a rebuild or renovation, a plumber comes across plumbing that is not code-approved (e.g., old materials, bad installation methods, or unsanitary installation) then they need to replace it. There is also the issue of toxic materials. An older house is more likely to have lead pipes for water, and/or Polybutylene (PB), both of which are known carcinogens. The use of these materials has been banned in the United States, so if these pipes are in your home in any way, it is time to replace them immediately. If you have plumbing problems like leaks, broken or damaged pipes, then obviously you will need to replace it. 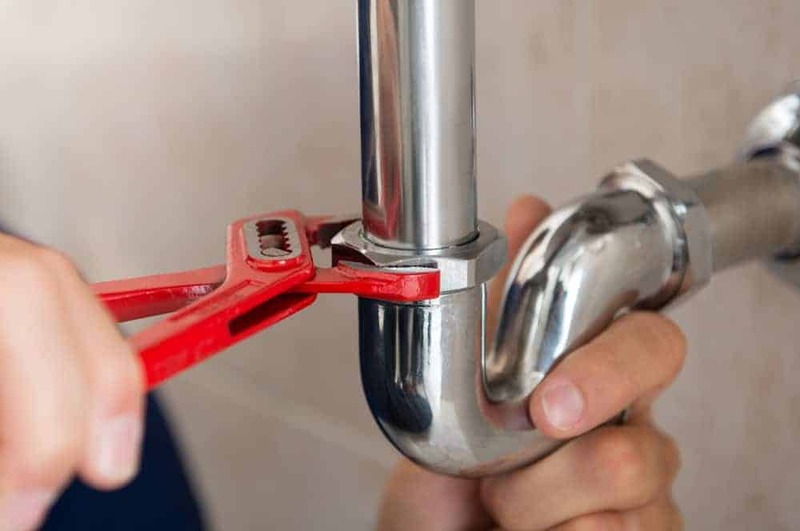 If you have a leak in your plumbing that requires extensive work, your plumber may decide to replace a significant portion of the plumbing if it doesn’t adhere to code (or if it is made of a non-safe material). Since you aren’t expected to know the ins-and-outs of plumbing code, it is best to consult with your plumbing contractor. The costs associated with replacing your home’s plumbing are going to vary wildly depending on where you live, the kind of plumbing you are replacing, and the overhead costs the plumbing contractor you hire charges. On average, replacing the plumbing in your house can range from $2,500 to $15,000 for a middle-sized home. Some pipes are going to be more expensive. For example, copper can cost between $2 and $5 per foot to replace, which can add up fast. PEX pipes, on the other hand, are much cheaper and easier to install, although they are not as long-lasting. This is where you may want to get several estimates from plumbers in your area. Remember to always look for plumbers that specialize in renovation, that have continuing education requirements for their staff, and who provide free on-site estimates for your job. If you have a plumbing issue and know that a significant portion of exposed piping (not in a wall) will need to be replaced, have the plumbers come and look directly at the issue and provide a simple quote based on materials and labor. If you are renovating and know that there will be areas where, during the renovations, pipe may be vulnerable to being cut into, then remove (or have your contractor remove) the portion of your wall that you need to have worked on. Then have the plumbers provide estimates based on the work needed. If they need to remove more of the wall, then consult with your contractor, but have them see the area before they start work so that, if there are issues with the code, they can catch them right away. If you are working with older piping, check the materials of everything. If you notice lead or PB pipes, then call your plumber immediately. In any of these cases, you will find that it is probably time to replace your plumbing. It’s best to bite the bullet and do it.